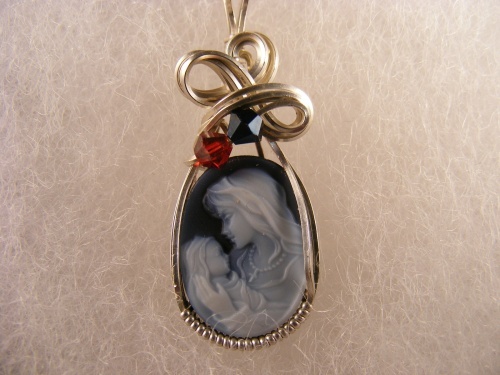 This gorgeous cameo is sculpted with a sterling silver bow like design. It has the childrens birthstones on the bow to make it that special momentum for your loving mother or wife. Comes with a sterliing silver chain. When ordering please enter on the comment box which month stones you need in the order you want them.